If luxurious resort-style living is what you’re looking for, there’s no need to look any further! 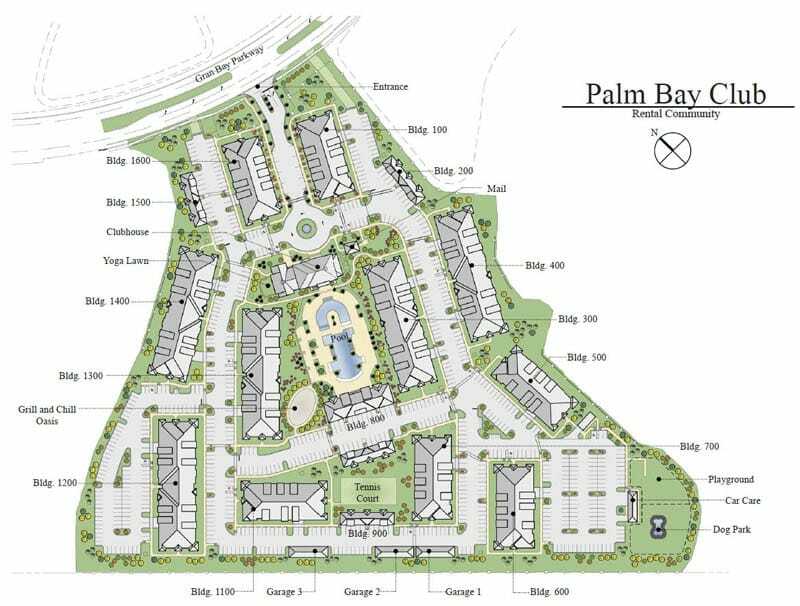 With a variety of distinct floor plans, Palm Bay Club is sure to have exactly what fits your lifestyle. Every one of our homes offers an open concept design with 10 foot soaring ceilings, gourmet kitchen with 42” white cabinetry and stainless steel appliances. You’ll also love the ½ bath option in most of our homes. Looking for something unique? Ask about our two bedroom Carriage Homes overlooking the fabulous pool area! This new community in the Bartram Park area was created with you in mind…Living Here is a “Breeze”! To learn more about Palm Bay Club’s apartment home features, please visit our amenities page or contact us today! The following fees are due in full at the time of application and are required to reserve an apartment. Palm Bay Club will accept payment by check, certified funds, or major credit card for all application and reservation fees. Palm Bay Club will accept personal checks, certified funds or electronic ACH payments via the self-service Resident Portals.